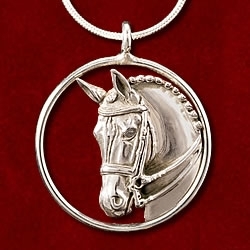 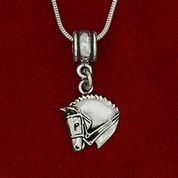 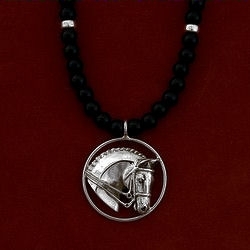 Dressage horse head on black onyx bead necklace with sterling spacer beads. 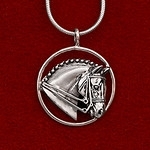 Sterling silver figure 8 closure. 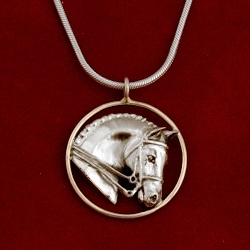 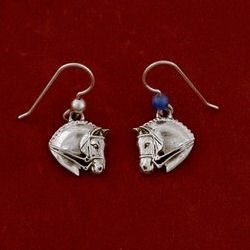 Circle measures 1″ diameter and length of beads is 17.” Perfect to dress up with or wear with jeans.